Didn’t even know there was a Medallion Edition! 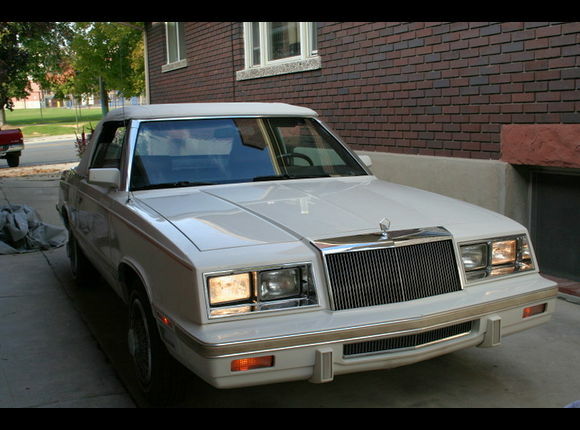 ’82 LeBaron Convertible. First of all, let me clarify: This car was a monstrous pile of early 80’s American crap when it was new, and it still is. 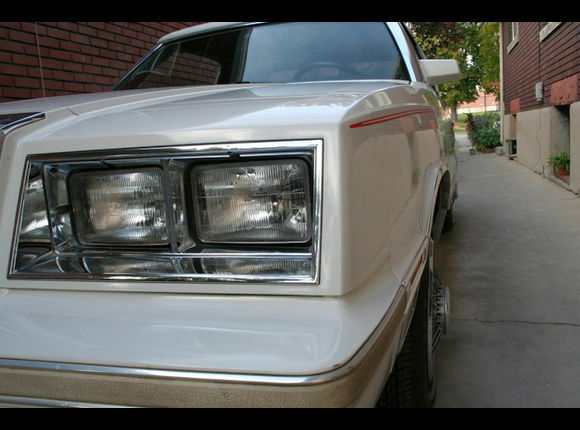 1982 may well have been the worst year in the history of the American car. However, the 56k odometer and the state of preservation makes it kind of retro-cool/hipster sweet. Kind of. It's 1982 and you are heading home with your first BetaMax machine. The only logical explanation for this car to be in this condition is that it belonged to a little old lady who only drove it to church and bridge club. We can’t decide if we should thank her or hate her for that. Hit the jump for more of the 80’s nostalgia. So, it’s plain, it’s boring, it has a 2.2l-auto drivetrain, and it’s 60-day white. (That is, it’ll be 60 days until you sell it). But somehow, it’s cool. It’s cool in a Ronald Miller-African Anteater Ritual kind of way. By the way, Can’t Buy Me Love – one of the greatest films ever made. It certainly does get cooler when you open the door and see that interior. Note: Definitely throw the floor mats out, preferably on the seller’s driveway. Click pic for the ad. Yes, I realize the video is of a New Yorker, but Chrysler used the same voice unit across models in those years. This car, though it has virtually no value whatsoever, could be yours for the low, low price of $3300.00. The right kid could make it seem cool. The right grandma might be a better fit. The right 40 year-old could bring back his/her youth with this thing. A loner might finally have a conversation. Basically, what we are saying is that there is no way to go wrong here. Buy this car. This entry was posted in Gems from the Dark Years (1971-1987). Bookmark the permalink. 3 Responses to Didn’t even know there was a Medallion Edition! 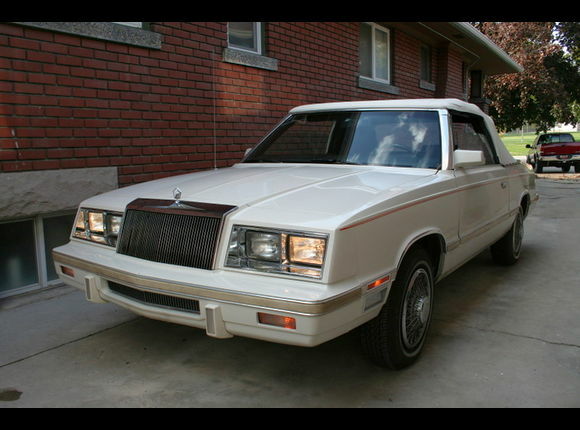 ’82 LeBaron Convertible. That is the most tacky and hideous interior of a car that is trying to look upscale that I’ve ever seen. 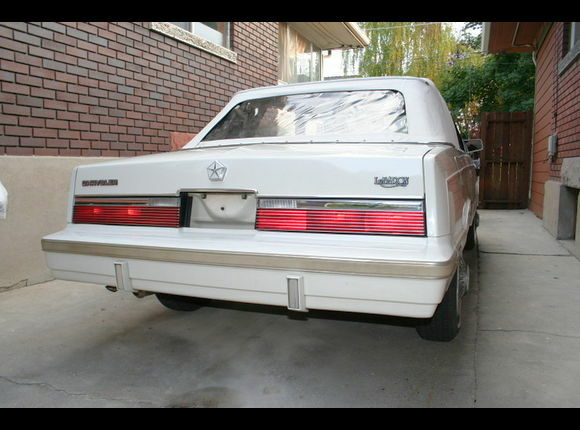 You UGLY LeBaron! Yes , that`s nice and all, but was it owned by John Voight? 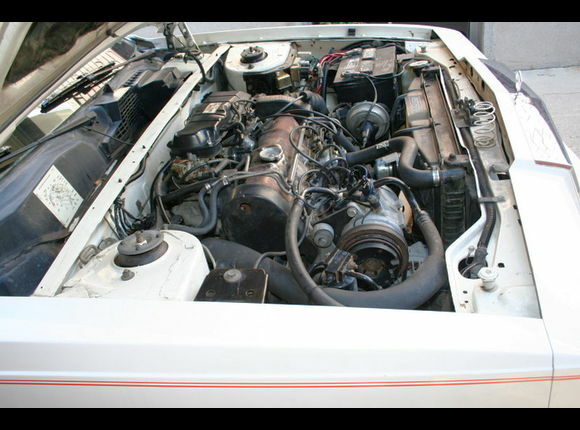 be glad it doesnt have the plaqued mitsubishi 2.6 liter, the 2.2 was a strong performing engine in its day.